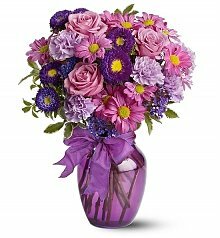 Surprise them on their special day with colorful bouquet of birthday flowers. 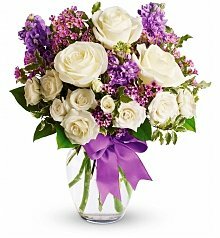 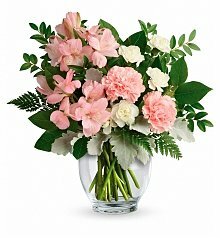 A beautiful bouquet of fresh-cut flowers is the very embodiment of grace and distinction, and should not be overlooked when searching for the perfect birthday gifts. 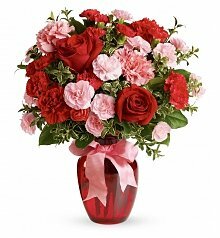 For centuries, people have sent flowers for birthdays, holidays, and to express their emotions. 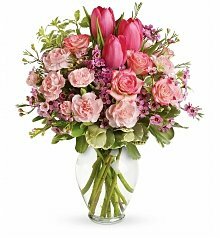 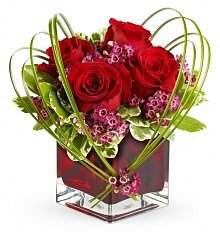 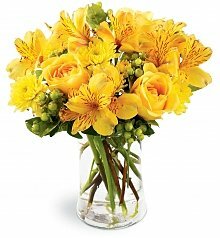 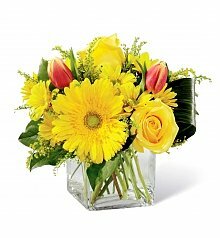 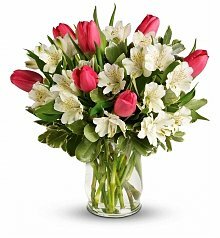 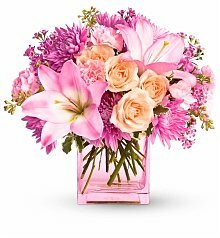 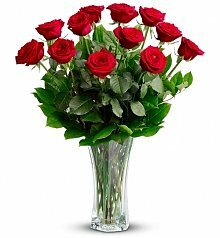 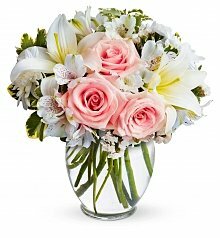 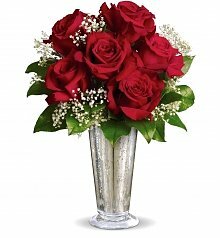 Not only can the flowers be tailored to the recipient's color choices and tastes, but they bring a sense of joy to the recipient as well as provide a long-lasting gift that will brighten up any home or office. 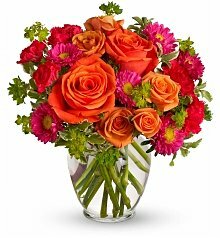 Flowers can be a standalone gift or can act as a companion to another present. 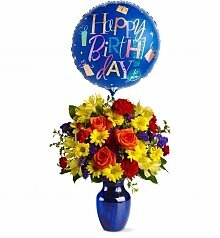 For instance, it is custom to add birthday balloon bouquets to flower gifts to convey an extra sense of cheer. 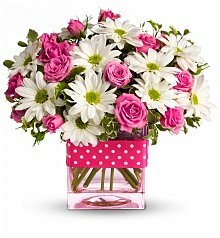 When looking for birthday gift ideas, many of our customers choose to send flowers in combination with one of our birthday gift baskets when an added touch of gourmet is desired. 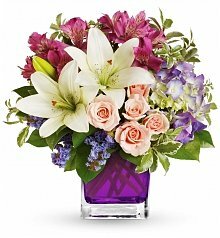 An even grander statement is to send flowers with one of our many birthday wine gift baskets, which include a host of gourmet products and selections of fine wine in different varietals. 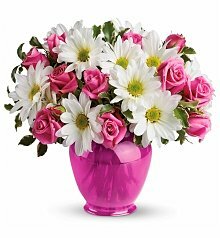 With their heavenly fragrances, delicate petals, and vibrant colors, flowers are the very epitome of life and passion. 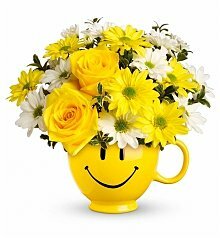 Consider the tenderness of the rose, the brilliance of the sunflower, and the majesty of the chrysanthemum: there is a flower for virtually every emotion and quality of life. 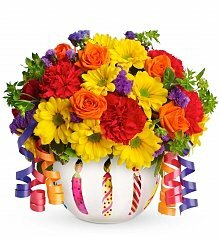 A brilliant way to celebrate this concept is to send one of our birthday fruit baskets in tandem with birthday flowers for an unparalleled gift of life and beauty.